The City of Melbourne has introduced the Green Your Laneway program to help transform the city’s laneways into leafy, green and useable spaces for everyone to enjoy. 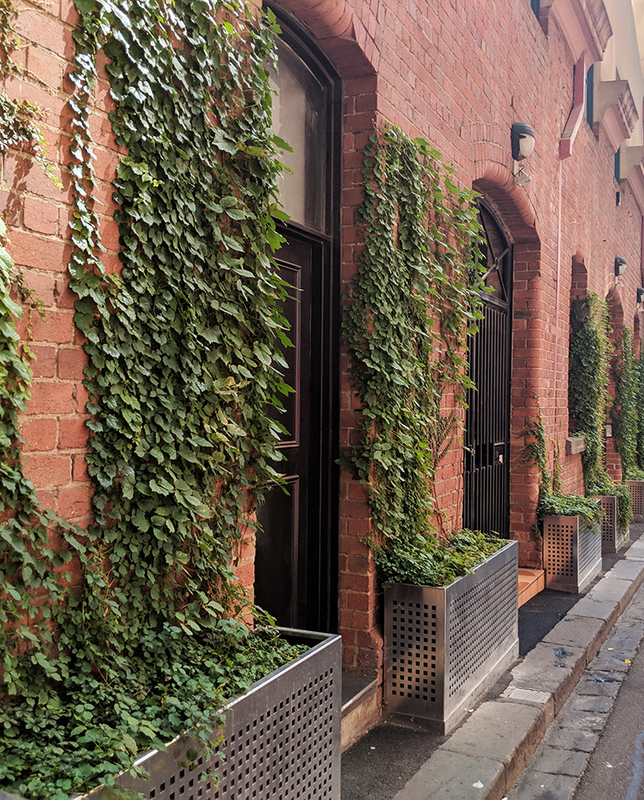 In a world first pilot, four laneways have been chosen to start the scheme from 800 nominated laneways, and in April 2017 Coolth Inc. was awarded the design and construction contracts to transform them with greenery. Designing green features for laneways requires innovative thinking to tackle the extremely challenging aspects such as lack of light and the strong winds that funnel through our city. Planting selections need to be robust and complemented with the right growing media. The materials used for the planters and supporting structures need to be durable and safe for the laneway users. Green Your Laneway is a unique project with a strong focus on community engagement. The residents, business and building owners of the four laneways - Coromandel Place, Guildford Lane, Katherine Place and Meyers Place - have all played a part in driving the design process from start to finish. Coolth Inc. in partnership with the city of Melbourne has worked tirelessly with these communities to deliver a greening outcome in line with their aspirations and needs.